One of the Mexican Riviera's most fabled hotspots, Acapulco is deeply ingrained in the sun seeker's subconscious as a destination worthy of pilgrimage. The buzz began in the mid-20th century when Hollywood's glitterati – including John Wayne, Richard Burton, and Elizabeth Taylor – started retreating here. Songsters like Elvis Presley and Bob Dylan went so far as to intone the city's fun-to-say name in their lyrics. Even political luminaries were drawn to Acapulco's lively beaches; the resort counts John and Jackie Kennedy and Bill and Hillary Clinton among its thousands of honeymooners. But beyond the celebrity lore, it's the firsthand experience – an enchanting mix of extraordinary natural surroundings, relaxed cultural mores, and, come sundown, no-holds-barred revelry – that cements Acapulco's status as the "Queen of Mexican Beach Resorts" in the heart of every beach bum that visits. Some say the resort has had its heyday, but like a fallen celeb pushing her way back into the spotlight, Acapulco is in the midst of a comeback. This reinvention is most obvious in the new beachfront Diamante (Diamond) zone known as the "New Acapulco," a luxurious stretch of sand at the forefront of the latest chapter in the resort's storied history. The water pollution that plagued the main bay and threatened Acapulco's demise in the '80s and early '90s has since been cleaned up, strict policing has clamped down on the infrequent brushes with regional drug cartels, and the city government has invested over $1 billion in infrastructure improvements. Now visitors can once again concentrate on what made Acapulco so appealing in the first place – the sun, the surf, and the sand. If you find yourself in Acapulco with just three days, spend at least two of them enjoying the powdery sands and temperate water, tropical drink in hand. Don't miss being wowed by Acapulco's bronzed, daredevil cliff divers, and be sure to schedule a sunset horseback ride on Playa Revolcadero. Head to the Las Brisas neighborhood and splurge on dinner at an upscale hillside restaurant overlooking the twinkling lights of Acapulco Bay, and cap off at least one of your nights by indulging in some serious partying, courtesy of Acapulco's vivacious nightlife scene. Five days allots time to stroll the historic Old Acapulco area, with its centuries-old fort and laid-back zócalo (town square). Plan an up-close encounter with the region's tropical flora and fauna by tacking on a visit to the botanical gardens, as well as a leisurely boat tour on one of the neighboring lagoons. Spend an afternoon snorkeling off Roqueta Island, swimming with dolphins at the CICI water park, or teeing off at one of five area golf courses. One week will allow you even more time to enjoy the beaches and ocean – you can add a deep-sea fishing trip or bay cruise to your itinerary; or head out on a day trip to the charming colonial town of Taxco, world-renowned for its master silversmiths. Acapulco is situated on the Pacific coastline of southwest Mexico and nestled around a swooping, palm-fringed central bay of golden-sand beaches, with the Sierra Madre Mountains serving as a backdrop. The city's main commercial drag is the Avenida Costera Miguel Alemán, or simply "la Costera," which traces the Acapulco Bay and is lined by shops, restaurants, and bars. The heart of Acapulco is positioned around a four-mile stretch of sandy beach along the bay. Papagayo Park marks the middle of the stretch; to its west and extending onto the Peninsula de las Playas is "Old Acapulco" (also referred to as downtown). To the east of the park is the beachside strip known as the "Golden Zone" or "Hotel Zone." At the easternmost tip (and the end of Acapulco Bay) is the neighborhood of Las Brisas and the start of the new Diamante section of Acapulco. Southeast of Las Brisas is Puerto Marqués Bay. Driving and parking hassles make renting a car in Acapulco impractical, but taxis and bus service are inexpensive and plentiful. Numerous independent tour guides and agencies can acquaint you with the area; we recommend Jorge Salcedo Cobos (744/429-6169; $20-$25 /hour per tour group, max 8 people) and Manuel Barrera Ramos (744/530-7013; $25-$35 /hour per tour group, max 13 people). Typical tours run in air-conditioned buses, include an English-speaking guide, and last about four hours. Choose historical sites, classic attractions, or visits to lagoons that neighbor Acapulco; the tours can also be customized. We particularly like the five-hour Tres Palos Lagoon excursion which includes a boat tour of the lagoon, a traditional lunch of red snapper at a beachside restaurant, and a visit to a sea turtle camp ($30-$45 /hour per group, operated by both agencies). Be sure to reserve outings at least one day in advance. Contact the Acapulco Convention and Visitors Bureau (Costera M. Alemán 38-A, inside Convention Center; daily 8am-3pm; 744/484-8555; www.visitacapulco.com.mx) for assistance in booking hotels, arranging excursions, getting directions, and for general sightseeing advice. There is an additional outpost located on Hornitos Street (Mon-Sat 8am-3pm) in the downtown area, just next to the San Diego Fort. The Mexico Tourism Board (800/446-3942; www.visitmexico.com) is another handy resource for maps and information. Acapulco's palm-fringed shores magnetize, as do the sub-tropical climate, lush vegetation, and the calls of exotic birds. As per Mexican law, all beaches are accessible and free to the public, so stake out your sandy strip at whim. Beaches outside the bay areas face the Pacific and as such are prone to rough surf and strong currents – do exercise caution when swimming here. Kids of all ages love playing in Acapulco's waters and there are plenty of ways to join in on the fun. Nearly every bay beach offers water sports concessions that typically include jet skis, water skis, banana boats, snorkeling equipment, and wind-surfing gear. Parasailing over the picturesque bay is also very popular, particularly from Playa Condesa. Scuba diving to area reefs and even a shipwreck can be arranged from several outfits, including Acapulco Scuba Center (Paseo del Pescador 13 and 14; 744/482-9474; $70+ with lunch and transportation; www.acapulcoscuba.com). Most visitors head to the four miles of main bay beaches, with their bustling backdrop of high-rise hotels, beach bars, and restaurants. Starting at the Peninsula de las Playas on the western edge of the bay, the twin coves of Playa Caleta and Playa Caletilla, known for their cleanliness and calm, shallow waters, are prime sunspots for families. There are several beachside family-run restaurants and plenty of water sports concessions here. These beaches also serve as the embarkation point for boats leaving for Roqueta Island and are the site of Magico Mundo Marino (daily 9am-6pm; 744/483-9344; $3, $2 for children), or Magic Marine World, a kid-friendly park with water slides, rides, swimming pools, water sports rentals, an aquarium, and a popular sea lion show. Moving north toward the zócalo, Playa Honda, Playa Manzanillo, and Playa Tlacopanocha unroll side by side. All three have gentle waves, access to several good seafood restaurants, and departure points for charter fishing trips. Past the oceanfront pedestrian promenade known as the malecón, where cruise ships and fishing boats line up, is Playa Tamarindos, a popular beach for its fine sand, gentle waves, and palm trees; it marks the unofficial start of Acapulco's Golden Zone. Playa Hornos and Playa Hornitos follow with similar beach conditions and are good for families. The enormous Papagayo Park – complete with amusement rides and lagoon bumper boats – is just across the street. The swooping pelicans, casual thatched-roof beachside eateries, and local fisherman working their nets make for a lively atmosphere. Playa Condesa, the scenester beach at the center of Acapulco Bay, is often crowded with young people who alternate dips in the water with dips into the swinging beachfront bars. The waves are a little rough here, making water sports a bit more adventurous; there's even beachside bungee jumping for real adrenaline junkies (AJ Hackett Bungy Paradise; Costera M. Alemán 101; 744/484-7529; $60). At the east side of the bay is the golden-sand Playa Icacos, one of Acapulco's largest beaches and the perfect strand to visit before or after a stop at the popular CICI water park (Costera M. Alemán & Cristobol Colón; daily 10am-6pm; 744/484-1970; $10; www.cici.com.mx) across the street. Recently renovated, the impressive water park complex of swimming pools (including a wave pool), water rides, and dolphin and seal shows is a fun way to spend an afternoon. Make arrangements to go swimming with the park's dolphins ($90/half-hour; $130 /hour; reservations mandatory). The secondary and smaller Puerto Marqués Bay is popular with vacationing Mexican nationals, giving it a more traditional, low-key Mexican vibe. Lined with colorful beachside restaurants, its waveless waters teem with water sports enthusiasts. The three main beaches here are Playa Pichilingue, Playa Majahua, and Playa Puerto Marqués – our favorite is Playa Pichilingue for its views of some of the city's most exclusive hillside properties. East of Puerto Marqués Bay, the sand unwinds into the long and beautiful Playa Revolcadero, which faces the open Pacific. Beachcombers, surfers, and equestrians come to this wide, wave-beaten stretch to explore the "New Acapulco" Diamante zone. Note that the undertow is often quite strong in these waters – use caution when swimming, and don't expect water sports. Secluded, pristine beaches also lie along the lagoon areas on both sides of Acapulco – Pie de la Cuesta and Barra Vieja (See Natural Attractions & Ecotourism below). For bay cruise tours, the Bonanza or Fiesta (744/482-2055; $22) yachts offer sunset (4.30-7pm), and moonlight (10.30pm-1am) cruises from the malecón docks across from the zócalo. You'll get a great perspective of the coastline, from its high-rise hotels and cliffside mansions to its towering mountain peaks; open bar and live music are included in the fee. Acarey (departs from the malecón; 744/482-3763; $22) offers similar bay tours with open bar and entertainment (4.30pm-7pm, 10.30pm-1am) and a daytime cruise (11.30am-3.30pm) that combines a stop for snorkeling at Roqueta Island and buffet lunch. Glass bottom boats ($3-$5) from Playa Caleta to Roqueta Island are popular, combining splendid bay views as well as the spectacle of colorful tropical fish passing beneath your feet. Deep-sea fishing is a big draw in Acapulco thanks to abundant swordfish, dorado, red snapper, and marlin, among others. Reservations can be made at the malecón via the Sociedad Cooperativa Servicios Turisticos (744/482-1099), a local fishermen's alliance – charter boat rentals, complete with captain, equipment, and bait cost about $300 for six hours. Your hotel concierge can also help with arrangements, or try a reputable company like Fish-R-Us (Costera M. Alemán 100; 744/482-8282; from $380; www.fish-r-us.com), which features fully equipped charters with tackle, bait, and hotel transportation included in a five-hour tour. Acapulco has five golf courses to keep golfers occupied off the bay: four 18-hole courses in the Diamante section of town and the quickie nine-hole municipal Acapulco Golf Club (Costera M. Alemán, next to Convention Center; 744/484-0781; $50). Our top picks are the championship courses operated by Fairmont Acapulco Princess Hotel (744/469-1000; $125 for guests, $140 for non-guests; www.fairmont.com/Acapulco), its narrow fairways dotted with coconut palms and water hazards, and the recently renovated (to the tune of 3 million dollars) Fairmont Pierre Marqués (744/466-1000; $135 for guest, $150 for non-guests; www.fairmont.com/pierremarques) – reservations for both are highly recommended. Horseback riding along the beach is arranged through independent operators on site, particularly along Playa Revolcadero in the Diamante section of Acapulco. The going rate is about $20 to $30 per hour; reservations can't be made in advance, so you'll need to go to the beach to make arrangements. Old Acapulco, or downtown, is the most historic and traditional part of the city, as evidenced by the presence of a Spanish colonial fort dating back some 400 years and the charming zócalo, where you'll more likely be in the company of Acapulqueños than fellow tourists. Peninsula de las Playas, which juts out from the mainland as an extension of Old Acapulco, is where the town's original tourism infrastructure was located and where the first wave of hip and happening Hollywood types vacationed. Start your tour with a stroll through the shaded, laid-back zócalo, where daily markets attract locals and tourists who haggle over everything from produce to artisanal crafts. The large square is overlooked by the distinctive 1930s-era Catedral de Nuestra Señora de la Soledad (daily 8am-9pm), whose unusual architectural blend of Byzantine towers, mosque-like dome, and Moorish and Art Deco elements are an interesting visual juxtaposition. Exit the zócalo, and cross the busy Costera to reach the malecón. Moseying around the docks here, where everything from large cruise ships to "booze" cruise ships to fishing boats line up, helps recall Acapulco's heritage as a lively port. For more area history, head to the pentagon-shaped Fuerte de San Diego (Calle Hornitos & Calle Morelos; Tue-Sun 9.30am-6.30pm; 744/482-3828; $3, free Sun; www.fuertedesandiego.inah.gob.mx), a fort originally built to protect the once lucrative bay harbor in 1616 and a testament to Spanish colonial influence (its current incarnation dates back to a reconstruction that followed a 1776 earthquake). Today it houses the Museo Histórico de Acapulco, a history museum with a collection including everything from religious objects to maps to old traded objects. About a block from the fort, the La Casa de la Máscara (Calle Hornitos & Calle Morelos; Tue-Sun 10.30am-4pm; 744/485-3944; free) is worth a stop; its vast collection of colorful, locally created masks speak to the area's religion and culture. A short taxi ride away is Acapulco's most iconic attraction: La Quebrada's cliff divers (Av. López Mateos & Plazoleta La Quebrada; daily performances at 1pm, 7.30pm, 8.30pm, 9.30pm & 10.30pm; 744/483-1400) wow onlookers with their daredevil stunts; the young performers hurl themselves off posts on a 115-foot cliff into a narrow cove of water below. The spectacle, an evolution of machismo competition that began with local fishermen, has incurred surprisingly few mishaps. The feat can be observed from either a public viewing platform ($3.50, including one drink) or from the outdoor patio at the Hotel El Mirador's La Perla Restaurant (Plazoleta la Quebrada 74, Peninsula de las Playas; 744/483-1155; $19.50 with two drinks or $30 with dinner). Nearby, the Diego Rivera Mural (Inalámbrica #6 on the Cerro de la Pinzona) covers the walls outside the home of Dolores Olmedo, a long-time friend of Rivera. The Mexican artist, whose colorful, large-scale murals inspired a renewed interest in fresco painting throughout Latin America in the early half of the 20th century, here depicts Aztec gods through mosaics. Hire a cab to get here, as its hilly location, and the Acapulco heat, make for an unfriendly combination. La Costera is the main artery of Acapulco, with a huge array of bayside hotels, shops, restaurants, and nightspots. Most points of interest are nestled in the Golden Zone of the strip, typically defined as stretching from Papagayo Park to the Las Brisas neighborhood. Volkswagen Beetle taxis, marauding vacationers in search of souvenirs, food, and libations, and even horse-drawn carriage rides – often adorned with balloons, lights, or flowers – add to the animated energy of the wide beachside boulevard, especially after dusk. Culture vultures should check out the Casa de la Cultura (Costera M. Alemán 4834; daily 10am-6pm; free), a small archaeological museum with a handful of exhibits culled from local excavations, as well as an art gallery and crafts display. La Costera's name changes to Carretera Escénica – or Scenic Highway – as it winds east from the swanky Las Brisas neighborhood, signaling the start of the new Diamante section of Acapulco. The key tourist attraction here, aside from the upper-crust environs, is the Capilla de la Paz (Calle de Vientos Cardinales s/n; daily 10am-1pm & 4-6pm; 744/446-5458; free), an open-air peace chapel marked by a 128-foot cross that presides over Acapulco from a Las Brisas hilltop; the bay views from here are spectacular. Acapulco's subtropical vegetation manages to peek through the abundance of high-rise hotels and shopping centers, offering plenty of opportunities to take in some natural wonders, whether a nearby island escape, a series of lagoons teeming with wildlife, or a pleasant botanical garden on the fringes of the main resort area. The popular and easily accessible Roqueta Island is reached via a scenic 10-minute glass-bottom boat ride ($3) from Playa Caleta; for a few dollars more, some operators offer extended excursions to see bayside villas and the submerged shrine to the Virgin of Guadeloupe, the patron saint of Mexico, before dropping you on the isle. Snorkelers and sun bums love the hilly island's beach, while more adventurous types enjoy trekking through the trails of the interior's forested terrain; you can grab lunch at one of the few thatched-roof restaurants. Puerto Marqués Lagoon, just east of Punta Diamante, is an ecological preserve known for its waterfowl viewing. It's also the one local lagoon where you may spot crocodiles, though they're a rare sighting. Grab a seat on the Shotover Jet (744/484-1154; $45 with hotel drop-off/pick-up; www.shotoverjet.com.mx) and go exploring via a wild 30-minute boat ride, replete with 360-degree turns, that zips through the murky canals, past local flora and fauna. About 10 miles east of the Golden Zone, the Laguna de Tres Palos is an impressive lagoon with an adjacent stretch of sand called the Barra Vieja – perfect for horseback riding, glorious sunsets, and leisurely lancha (small motorboat) tours that glide past aquatic birds like pelicans, storks, iguanas, and armadillos (as well as a floating garden of lotus-like flowers, in dry season). Stop for a traditional lunch of pescado à la talla (red snapper grilled over hot coals) at one of the dozens of beachside restaurants. (See Where to Eat). In the opposite direction, six miles west of the Golden Zone, is the low-key beach resort of Pie de la Cuesta, a quiet hideaway popular for its horseback riding, coconut groves, and rustic thatched-roofed seaside eateries. The quiet, palm-fringed beaches encourage relaxation and hammock lounging, while the adjacent freshwater Laguna Coyuca is perfect for waterskiing, fishing, and boat rides. Four miles north of Old Acapulco, the Sitio Arqueológica Palma Sola (daily 9am-5pm; 744/484-1514; free) combines a visit to the El Veladero ecological reserve with an archaeological zone where you can ogle 2,000-year-old petroglyphs dating from the Yope Indians who once inhabited the mountains surrounding the resort. Finally, the 15-acre Jardín Botánico (at Loyola University, Av. Heróico Colegio Militar, Fracc. Cumbres de Llano Largo, north Las Brisas area; daily dawn-dusk; 744/446-5252; $3, free Sun; www.acapulcobotanico.org), a botanical garden of indigenous and introduced plant species including palms, ferns, and fruit trees, was started in 2002 by a cooperative of 35 local women seeking to educate the public on the ecology of the Acapulco area &mdash and the need protect it. Most of Acapulco's luxury resorts are clustered within the exclusive Diamante area, situated east of Acapulco Bay, closer to the airport; while the digs here are divine, be prepared to factor in taxi fees averaging about $10 to $15 each way if you plan on venturing to, say, the Golden Zone. There are numerous mid-range and budget properties to pick from – Acapulco has more than 20,000 hotel rooms – including the high-rise mega-hotels along la Costera, as well as the more historic properties in Old Acapulco, particularly on the Peninsula de las Playas. You can find dirt-cheap budget properties if you're willing to walk a few blocks to the beach and stay in older parts of the city; near the zócalo is your best bet. Private villa rentals are a popular alternative; most are located in the Las Brisas hillside quarter. Se Renta (www.acapulcoluxuryvillas.com) is a well-reputed agency offering some of the most palatial property rentals in the market. Our top luxury picks are led by Quinta Real Acapulco (Paseo de la Quinta 6, Punta Diamante area; 744/469-1500; www.quintareal.com), a boutique hotel perched on a cliff in Punta Diamante overlooking the Pacific. It has panoramic views, a posh spa, swanky rooms with marble bathrooms, and is close to several championship golf courses. We're also quite keen on Las Brisas (Carretera Escénica 5255, Las Brisas area; 744/469-6900; www.brisas.com.mx), a hillside haven built into the cliffs above the bay; jaw-dropping views and sunsets are a given. Since accommodations are strung along the steep cliff, jeeps are available (you can drive one yourself or hire a driver) to whisk you up the mountainous path to your room from the lobby at the base. The 263 casitas have dramatic panoramas of the bay and private or semi-private pools; the resort has 210 pools, some of which weave in and out of the rooms! Prepare to be pampered at the Camino Real Acapulco Diamante (Carretera Escénica KM 14 Baja Catita 18, Puerto Marqués Bay area; 744/435-1010; www.caminoreal.com), a choice property far removed from the commercial tourist hub and overlooking Puerto Marqués Bay. This resort offers polished accommodations and a plethora of services and amenities along with commanding views of the water and beach below. Acapulco has plenty of high-quality, mid-range hotels; one of the best is the Hotel Elcano (Costera M. Alemán 75, Golden Zone; 744/435-1500; www.hotel-elcano.com), a favorite for its beachside locale, great pool, and glamorous 1950s vibe. The hotel's gracious service, delicious breakfast buffet, and location on one of the bay's best beaches makes it a hit with guests. The 45-room Boca Chica (Playa Caletilla; 744/434-1990; www.bocachicahotel.com) is a waterfront property on Old Acapulco's Peninsula de las Playas overlooking Roqueta Island. It has a secluded swimming cove – great for snorkeling and scuba diving – and a private pier that's ideal for boating and fishing. All rooms and suites offer superb ocean views from private verandas. Hotel Los Flamingos (Av. López Mateos No. Fracc., Peninsula de las Playas; 744/482-0690; www.hotellosflamingos.com) is a great choice if you're intrigued by Acapulco's Hollywood heyday. Hovering above Acapulco Bay on a 450-foot cliff, the property still manages to draw a crowd decades after its debut as Acapulco's hot spot, when John Wayne, Cary Grant, Roy Rogers, and Errol Flynn were among its many loyal fans (at one point they even bought the joint and converted it into their own private playground and club). For travelers on a budget, Acapulco offers a good selection of low-cost hotels, including Hotel Sands (Costera M. Alemán 178, Costera Hotel Zone; 744/484-2260; www.sands.com.mx), a perfect choice for families. The quiet hotel provides inexpensive, comfortable, and clean digs with a friendly staff and a decent location across the street from the beach; there's also an on-site garden restaurant with impressive Mexican food at affordable prices. Another good choice is the Hotel Mision (Felipe Valle 12, Old Acapulco area; 744/482-3643), a charming little gem with daily breakfast served in a leafy courtyard. The hotel is only two blocks inland from la Costera and the beach as well as the fisherman's wharf and La Quebrada. All 27 rooms come with their own private bathrooms, ceiling fans, and wrought-iron beds. We also recommend Hotel Gilda (Av. Fuerza Aerea KM 7.5, Pie de la Cuesta; 744/444-4462; www.hotelgilda.com), with its killer location on a lonely stretch of sand in Pie de la Cuesta, just outside Acapulco, a perfect antidote to bustling Acapulco Bay. With only three lovely rooms, tropical gardens, a pool, and an exceptional on-site restaurant, you'd better book way in advance. Acapulco has more than 160 restaurants serving everything from traditional Mexican dishes (noted for being much richer and spicier than the more Americanized Tex-Mex or Cal-Mex cuisine that passes for Mexican in much of the U.S.) to seafood to international haute cuisine. The more romantic and upscale eateries are found in the hillside Las Brisas neighborhood, with dazzling views of the twinkling city lights and bay below; good, casual beachside eateries with palm-thatched roofs are situated right along la Costera; and Old Acapulco, particularly around the zócalo, is a great place to dine with the locals. Keep in mind that you'll have to ditch the beachwear if you plan on dining in the high-end eateries. Make advance reservations for our fine dining picks. Tipping is customary in Acapulco – plan on leaving 10% to 15% of the total bill for your waiter. Fresh seafood is the key ingredient in many local dishes; also popular are tamales (fish, chicken, or pork and corn wrapped in banana leaf or corn husk) and native subtropical fruits – like the mango, papaya, and coconut – that appear in fresh drinks or as salads. If you happen to be in town on a Thursday, indulge in the local custom of eating a late, leisurely lunch of pozole, a traditional soup centered on either pork or chicken mixed with onions, oregano, avocado, radishes, lettuce, and lime – our favorite spot to indulge is at the landmark Hotel Los Flamingos (Av. López Mateos No. Fracc, Peninsula de las Playas; 744/482 0690; www.hotellosflamingos.com). Dine cliff-side and enjoy the live Mexican band and impressive ocean views. Elegant surroundings, sweeping bay views, and can't-miss dishes like red snapper and cold avocado soup have made Madeiras Restaurant (Carretera Escénica 33-B, Las Brisas area; 744/446-5636 or 744/446-5723; dinner only; www.madeiras.com.mx) an Acapulco institution for over 25 years; a prix–fixe menu fuses traditional Mexican cuisine with international touches. Another fine dining option in the Las Brisas area is the ultra-chic Baikal's (Carretera Escénica 22, 744/446-6845; dinner only; www.baikal.com.mx) for French, Mediterranean, Asian, and Mexican fusion. The spectacular views of sparkling Acapulco have made this the "it" spot du jour. The open-air terrace at Bellavista Restaurant (5255 Carretera Escénica, Las Brisas area; 744/469-6900; dinner & breakfast only; www.brisas.com.mx) offers refreshing ocean breezes, panoramic views of the bay, and one of the most romantic dining experiences in Acapulco; a pianist tickles the ivories nightly as patrons enjoy an international menu of starters like duck confit-goat cheese ravioli and entrees like gruyere-crusted sea bass. For upscale dining outside Las Brisas, El Olvido (Plaza Marbella shopping center, across from the Diana traffic circle, Costera Golden Zone; 744/481-0203; dinner only; www.elolvido.com.mx) has a palm-studded beachside terrace square in the heart of the Costera, though you'd never know it from the restaurant's tranquil atmosphere. French and Mexican fusion dominates the sophisticated menu. Mid-range dining options include El Amigo Miguel (Calle Benito Juárez 31 at Calle Azueta, Old Acapulco; 744/483-6981), a local hangout with dishes centered on fresh seafood and Mexican favorites. Located right off the zócalo, it's a popular lunch spot for ample plates of fresh shrimp, lobster, and more than a half-dozen types of fish including the house specialty, filete Miguel, red snapper stuffed with seafood. Boca Chica Hotel's Marina Club Restaurant Sushi and Oyster Bar (744/483-6741; www.bocachicahotel.com) serves fantastically fresh sushi at a casual beachside eatery on the shores of Playa Caletilla. For inexpensive dining, La Cabaña (Playa Caleta Lado Ote. s/n, Peninsula de las Playas; 744/469-8553) is a casual beachside eatery on Playa Caleta that's served fresh seafood and traditional Mexican lunches for over 50 years. Grab a table on a shaded deck or right on the sand and be sure to try the baby shark tamales, fresh shrimp, or chicken sopes (tortillas with beans, cream, and sauce). Due east of Acapulco is Barra Vieja, where rows of rustic seaside restaurants prepare traditional pescado a la talla, red snapper grilled over hot coals. We particularly like Brisas Diamante (look for the sign at the start of Carretera a Barra Vieja), where for just $15, you'll get the pescado a la talla accompanied by fish quesadillas, sopes, fresh tortillas, and a couple of cervezas (beers) or sodas to wash it all down with. In Old Acapulco, there are many simple, inexpensive restaurants offering traditional Mexican cuisine done right – we particularly like La Flor de Acapulco (Benito Juarez 1; 744/482 9765) with its two-level alfresco dining complex right on the zócalo; try the Mexican variety plate which features an enchilada, fajitas, and panucho, a Yucatan specialty that is served with a chicken, turkey, pork, or beef base and a small fried corn tortilla stuffed with refried beans. Acapulco is home to one of Mexico's hottest nightlife scenes. Discos and beach bars pulsate with music and brim with tanned revelers who dance and romance till dawn; luckily, you can recover from a loco night while you lounge beachside the next day. Keep in mind that covers and opening hours can vary by season and according to special events, so phone ahead before heading out for the night. To ease into the scene, take in one of Acapulco's breathtaking sunsets with a coco loco – a rum-laced cocktail served from a coconut – in hand. Enjoy both at the self-proclaimed birthplace of the drink, the once-glamorous (but now a little worn around the edges) Hotel Los Flamingos (Av. López Mateos No. Fracc, Peninsula de las Playas; 744/482 0690; www.hotellosflamingos.com) – the heyday nostalgia (don't miss its photo gallery of '40s and '50s Hollywood stars) and panoramic views are a terrific mix. For a more organic sunset/coco loco combo, head out to one of the tranquil oceanfront beach huts along Pie de la Cuesta near Coyuca Lagoon (six miles west of the Golden Zone), where you can slurp down a tropical drink amidst the sublime natural scenery. Another excellent way to kick off an evening is by catching one of the nighttime La Quebrada cliff diver performances from the patio of La Perla Restaurant (Plazoleta la Quebrada 74, Peninsula de las Playas; 744/483-1155 or 744/483-1221; www.hotelelmiradoracapulco.com.mx) at the Hotel El Mirador. The 10.30pm show is most memorable when the cliff divers make their plunge with flaming torches in hand. Acapulco's muy caliente nightclubs don't even open their doors until 10 or 11pm and the party rarely gets started before midnight. The more exclusive clubs have cover charges of $20 to $50 (women usually pay less or even get in free), but many also include open bar. Men should wear pants and a nice shirt when hitting the town, as several clubs keep dress codes. Some of the swankiest nightspots are located high in the hills of the Las Brisas quarter, with dazzling views of the lights surrounding the bay. Of these, the cliff-side Palladium (Carreta Escénica, Las Brisas; 744/446-5490; cover includes open bar; www.palladium.com.mx) reigns supreme, with 160 feet of wraparound glass windows that hug a dance floor that cantilevers out over the cliffs. The club's younger crowd dances the night away to electronic and house music, often spun live by top international DJs. There's a good concentration of clubs along the Costera, east of the Diana traffic circle. Baby-O (Costera M. Alemán 22, Golden Zone; 744/484-7474; cover and pay per drink; www.babyo.com.mx) has been an Acapulco favorite for three decades, attracting a well-dressed clientele of 20- and 30-somethings who come to bump and grind to the hottest contemporary hip-hop, techno, and dance hits. Less formal, but no less fun, is the oceanfront Disco Beach (Costera M. Alemán 111 at Playa Condesa, Golden Zone; 744/484-8230; cover includes open bar), famous for its wild Friday night foam parties. The club permits casual attire and pumps out dance music beachside. Next door, Ibiza Lounge (Costera M. Alemán at Playa Condesa, Golden Zone; 744/484-8230) is operated by the same owners but touts a slightly more upscale beach vibe – the big difference is that, while there's no cover, you'll have to pay per drink. There are several good beach bars (usually with low or no covers) along Playa Condesa. Enjoy your tequila – order Don Julio or Herradura to fit in – with an ocean breeze and in the company of sometimes raucous crowds at the sports bar Mangos (Costera M. Alemán at Playa Condesa; 744/484-4762; no cover) or at the pirate-themed Barba Roja (Costera M. Alemán at Playa Condesa; 744/84-5932; no cover). Several bayside restaurants and bars set off fireworks throughout the night, so grab a waterfront seat to see the show. For a taste of spring break action, cross the Costera to the near-always packed Carlos 'n Charlies (Costera M. Alemán 112; 744/484-0039; no cover; www.carlosandcharlies.com), an Acapulco institution known for lighthearted fun and young crowds. Popular dance hits promise a packed dance floor, and when you need a break, grab a table overlooking the Costera to spy on the bustling scene. If a swanky lounge is more your beat, head over to the Las Brisas hillsides, where Sky Garden (Carreta Escénica 28, in La Vista shopping complex; 744/446-5771; cover and pay per drink; www.skygarden.com.mx) blends beautiful people and stunning views of the bay. The smart décor features bed lounges, fountains, and candles, and is accompanied by chill lounge and house music. If it's salsa and tropical music that you're after, Salón Q (Costera M. Alemán 3117; 744/481-0114; cover includes open bar) is the so-called "Cathedral of Salsa." The club features live bands and entertainers who fill the dance hall with merengue, salsa, and Latin rhythms – the weekends often bring impersonators of popular Mexican entertainers. Tourist-friendly Acapulco caters to shoppers with everything from lively markets to high-end shops competing to pry away your pesos. Be prepared to haggle – your bargaining skills will surely be put to the test, but persistence does pay off – expect discounts of anywhere from 25% to 40% off the first asking price. Acapulco and its surrounding Guerrero State are particularly known for local items like silver, beachwear, hand-painted ceramics, embroidered textiles, and leather goods. Most traditional shopping areas are found in the outdoor markets near Old Acapulco's zócalo. The daily Mercado Municipal (Calle Diego Hurtado de Mendoza & Av. Constituyentes; daily 7am-7pm), the main market of the port, bustles with locals perusing the densely packed stands that overflow with fresh produce and other eats – it's a great spot to pick up picnic fare. Wandering the stalls at the Mercado de Artesanías El Parazal (Velázquez de León, near Calle Cinco de Mayo; daily 9am-9pm), a nearby crafts market, turns up finds like silver jewelry, sandals, handicrafts, pottery, coconut masks, artwork, hand-embroidered dresses, hammocks, and more. La Costera, meanwhile, is lined with endless souvenir shops (think t-shirts and straw hats), as well as intermittent boutiques selling resort wear and handicrafts. The air-conditioned malls here, like the multi-level Plaza Bahía (Costera M. Alemán 125; 744/485-6939) and Le Gran Plaza (Costera M. Alemán 1632; 744/486-6478) are chockfull of shops, movie theaters, eateries, and more. Also on the strip is Mercado de Artesanías La Diana (Costera M. Alemán at Av. Farallon), which offers similar wares to those at the El Parazal crafts market. If you can't make the drive north of Acapulco to the colonial mining town of Taxco (See Day Trips), scope out a reputable store like Linda de Taxco (at La Quebrada), for an impressive selection of authentic silver jewelry that's meticulously handcrafted and often set with semi-precious stones. For travel staples from toiletries to magazines, head to Sanborn's, a chain of local department stores/drugstores that operate along la Costera – there's one located across from the boat docks, off the zócalo (Costera M. Alemán 209; 744/482-6167). Three-and-a-half hours northeast of Acapulco by car, Taxco (via Hwy. 95; Tourism office at Av. de los Plateros 1; Mon-Fri 8am-3pm, Sun 8am-12pm; 762/622-2274) is a charming colonial mining town in the foothills of the Sierra Madre Mountains. Known as Mexico's "Silver City," its picturesque cobblestone streets (bring good walking shoes), colonial-era monuments, small museums, and most famously, fine silver at rock-bottom prices, make it a perfect beach break. Many of the artisan shops of the Plaza Borda, located on the city's main square, have been creating beautiful silver jewelry and housewares for generations. The plaza is dominated by the Iglesia de Santa Prisca (Plaza Borda; daily 6am-9pm), a church whose cheery pink façade makes for a colorful (and handy) landmark. Venture inside to see beautiful vaulted ceilings and paintings by Mexican artist Miguel Cabrera. Wander up the side streets around the plaza and you'll be rewarded with both beautiful vistas of surrounding hills dotted with red-tile rooftops and many more silver shops, some of them offering even better bargains than those on the main plaza. For an alternative taste of Pacific coastal life à la Mexican Riviera, follow the coastline north (via Hwy 200) for about 160 miles to reach the neighboring beach resorts of Ixtapa and Zihuatenejo. Scenic Ixtapa (Tourism office at Paseo de las Gaviotas #12, Mon-Fri 8am-8.30pm, Sat 8am-2pm; 755/553-1270; www.ixtapa-zihuatanejo.com) is a haven for luxury travelers, with exclusive hotels, top-notch services, and an altogether modern infrastructure that welcomes vacation indulgence. Ixtapa straddles a sandy strip between the Pacific Ocean and the stunning Sierra Madre mountain range, with upscale resorts, restaurants, golf courses, scuba diving, bay cruises, and of course, beach lounging; in other words, plenty of activities to fill up a sun-filled day. For those seeking an encounter with more traditional, unpretentious Mexican culture, a 4-mile trip from Ixtapa to the rustic town of Zihuatanejo (Tourism office at the City Hall; Mon-Fri 9am-3pm; www.ixtapa-zihuatanejo.com) promises just that. Acapulco boasts a year-round balmy, subtropical climate, with annual temperatures hovering between 70ºF and 90ºF. Sunny skies are a near-guarantee. The almost constant sunshine is one of Acapulco's biggest draws, as visitors can rest assured that their beach vacation will be just that. Some exceptions apply during the rainy, low season, which is marked by brief late-afternoon and early-evening tropical showers. The season lasts from June through October, with the hottest and most humid months in July and August. As such, most visitors choose to avoid the risk of rain and high humidity and instead head to Acapulco in the winter high season between December and April. During this time, the air is dry, the sun is shining, and the tourists are relishing in it all. While low season means rock-bottom hotel rates (although rates do spike slightly during summer vacation months in July and August), high-season, predictably, means the highest rates – you'll instead get the best bang for your buck on hotel rates in November, just following the rainy season, when the landscapes are lush and the crowds are few. May is another good bet, when all of the Easter and spring-break crowds have cleared out and the summer storms have yet to set in. 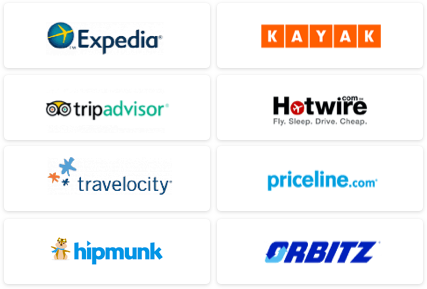 Avoid Christmas, New Year's, and Easter weeks unless you're willing to shell out premium rates on everything from airfare to hotels to nightclub admissions and don't mind competing with massive crowds. All US citizens need a valid passport to travel by air between the United States and Mexico. In addition, the Mexican tourist card (also called an FMT) is an important document you'll be issued when you arrive at the Acapulco airport – it must be handed over when you leave the country, so be sure to hold onto it to avoid a time-consuming replacement process and fines. Acapulco's Juan Alvarez International Airport (www.oma.bz) is well-serviced by major airlines, with flights operating on carriers like Aeroméxico (www.aeromexico.com), American (www.aa.com), Continental (www.continental.com), Frontier (www.frontierairlines.com), Northwest (www.nwa.com), Mexicana (www.mexicana.com), and US Airways (www.usairways.com). US gateway cities include Chicago, Dallas, Denver, Houston, Los Angeles, Minneapolis, Newark, and Phoenix, while Mexican gateways are primarily in Mexico City, Guadalajara, and Tijuana. Flight time to Acapulco is three hours from Dallas, less than five hours from Chicago, four hours from Los Angeles, and about five hours from New York. Acapulco is a popular stop on Mexican Riviera cruise itineraries, most of which embark from Los Angeles and San Diego during the fall and winter months. Carnival (www.carnival.com), Celebrity (www.celebrity.com), Holland America (www.hollandamerica.com), Norwegian (www.ncl.com), and Princess (www.princess.com) are just a few of the cruise lines that call on the port. 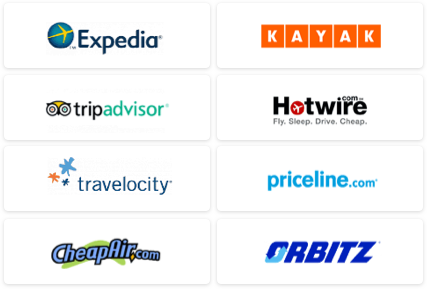 Booking air and hotel together (and other trip essentials such as airport transfers, car rentals, and even tours and activities) can save a bundle of cash – online travel discounters such as Expedia (www.expedia.com), Orbitz (www.orbitz.com), and Travelocity (www.travelocity.com) are a good place to start your search. You may also wish to consult with any of our recommended Mexico-specialized providers, including CheapCaribbean.com (www.cheapcaribbean.com); BeachDestinations.com (www.beachdestinations.com); Pleasant Holidays (www.pleasantholidays.com); and FunJet Vacations (www.funjet.com). You can get a taxi right at the airport; it's the fastest and easiest way to get to your hotel – rates range from $30 for the 20-to 30-minute drive to destinations along la Costera Golden Zone. A more economical option is to hire a colectivo (shared minivan), which costs about $15 – look for the Transportes Terrestres booths to arrange rides. Major car rental agencies like Avis (www.avis.com), Budget (www.budget.com), and Hertz (www.hertz.com), among others, operate desks in the airport if you choose to drive, but unless you're planning on taking side trips to outlying areas like Taxco or villages further along the coast, you're better off sticking to the inexpensive cabs or buses than dealing with the expenses, traffic, and parking hassles of having a vehicle here. Distances in Acapulco can be deceivingly far – consider that if you're staying at a Diamante-area hotel, you can expect around 40 minutes of travel time (about $20 via taxi) in moderate traffic to get to Le Quebrada to catch a cliff-diving show. While the curvy bend of Acapulco Bay may look condensed on a map, the shore stretches four miles, so walking any great distance is a challenge, especially when you factor in the heat. VW Bug-style taxis are plentiful and cheap, but be prepared to negotiate the price before taking off on the journey; larger "sitio" taxis – which often work directly with hotels – are roomier and newer, but also charge more than the street cabs. Taxis are available at hourly and day rates; negotiate to get the best price. Public buses (35¢-40¢; daily 5am-11pm) provide efficient and cheap ground transportation – stick to those that run along la Costera to avoid getting lost. Consult with posted route maps at the covered bus stops – buses indicate their final destination on the front.